Faster Short Sales? It's Possible! Former Wachovia & World Savings Loans Faster Short Sale Program!! The Underlying Economy of Home Ownership. Market is smokin' hot, but dig deeper than the surface to look at all of the causes of this seller's market, and you will find there are more reasons for the lack of inventory than not enough sellers. Andreea Stucker thought she made a good investment when she bought a Huntington Beach condo with her boyfriend in December 2005. "Rising home values pushed nearly 28,000 Orange County homeowners “above water” last year, meaning their homes no longer are worth less than the amount owed on their mortgages, CoreLogic reported Tuesday. "If you happened to catch last night’s State of the Union speech, you may have noticed (between the incessant clapping) President Obama’s mention of a bill that would give American homeowners the chance to save $3,000 annually by refinancing their mortgages. There is a lot of misleading and incorrect information about South Orange County real estate short sales. Many people don't have a clear understanding of the purpose of short sales or how they actually work. For all of 2012, servicers completed more than 850,000 loan modifications, while the industry also continued to push for another foreclosure alternative—short sales, according to recent data from HOPE NOW, an alliance of mortgage servicers, investors, mortgage insurers, and nonprofit counselors. Beautiful 3 bdrm/ 2.5 bath on Full Basement For Only $134,900!!! Does someone have a PNC connection number? 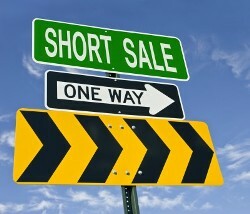 I need a manager or someone even higher up in the chain regarding short sales.